The Sheraton Kona Resort on the Big Island is a great place to get married. 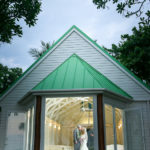 It offers both indoor and outdoor options for getting married. They have a beautiful grass lawn and a chapel on property. You also have the option of getting married on a cliff overlooking the ocean. 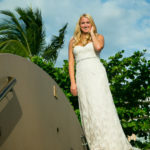 Eye Expression Photography is one of the Sheraton’s Kona Wedding Photographers on the preferred vendor list. This couple was married in the chapel with orchids spread over the floor. They had their own officiant but also used a local officiant to provide a Hawaiian element to the wedding, which included leis and a Hawaiian chant. Photos after the wedding were done on the area behind the chapel over looking the bay and along the coast.